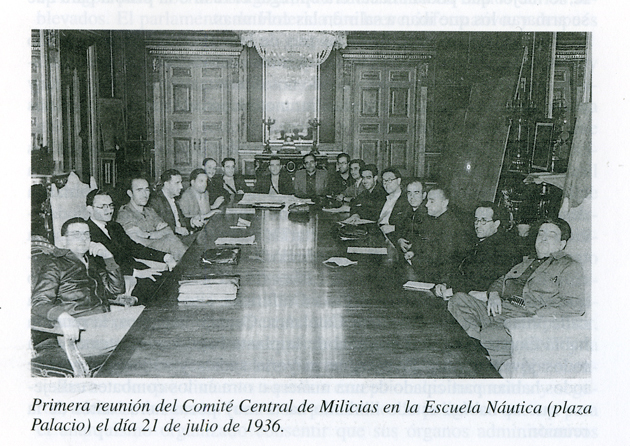 Written in 1939 by a member of FORU (Regional Workers Federation of Uruguay), this book—a scathing indictment of the leaders of the Spanish CNT and FAI for their “betrayal” of anarchist principles—contains, in addition to official documents and proclamations of the CNT and FAI and articles from the Spanish and international anarchosyndicalist press, relevant passages drawn from Max Nettlau, Diego Abad de Santillán, David Antona, Federica Montseny, Juan García Oliver, Pierre Besnard, Alexander Schapiro, Sebastién Faure, Camillo Berneri, Mariano Vázquez, Mikhail Bakunin and other anarchists and anarchosyndicalists. Translated in May-June 2014 from the Spanish original by Manuel Azaretto, Las Pendientes Resbaladizas (Los anarquistas en España), Editorial Germinal, Montevideo, 1939. Do I have to edit the "weight" for the introductory sections (Preface, etc.) to -2, -1, and 0 in order to get the right order? Thanks for arranging the chapters into the correct order. The first three introductory chapters go in the following order: Introduction by Jose A. Barrionuevo; To the militants of the FOR; Preface. This looks incredible.. nice one for doing this all, you're seriously adding a wealth on info on the Spanish Civil War that I never knew existed..
Oh, fantastic! Thanks for putting that up! Having read various IWA texts from that period and knowing what came next, I would say that they were rather polite in their writings. A very sober warning as to what can happen when a critical mass of people pursuing reformist tendencies try to have their way. Not to mention that they proposed taking away votes from sections that were "not legal" and hijacked the congress by not including mandates and votes. A sad and dark part of history, but one we need to learn from. Added epub and mobi files with tables of contents. By the way, with all the stuff that Alias has been uploading, should we update the Spanish Civil War reading guide?